Sometimes the generic order statuses aren't applicable to individual store setups. With the AmeriCommerce online system, you are more then capable of creating a customized order status. These can even send an associated Email Template. To get to the page where you can create an order status, you need to log into your Administrator Console. Once logged in, browse to Settings > Orders > Order Status. From here, you will want to click on the New button to create a new order status. 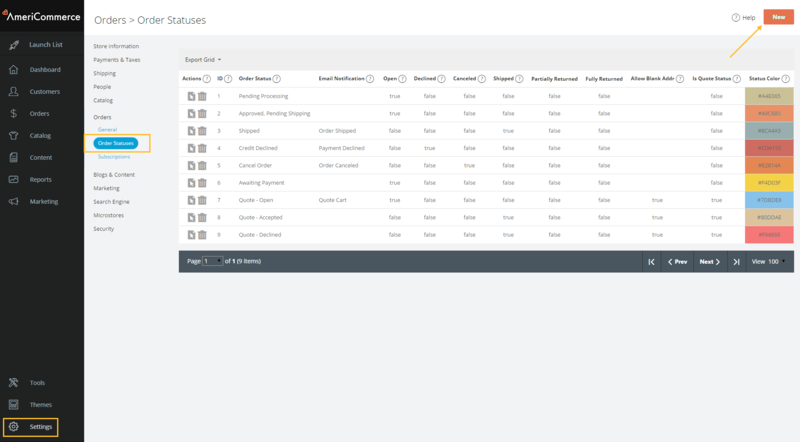 Here, you will see the different options for the order status. Most of the fields are straightforward. To name the status, you just insert it into the Status Name field. To associate an email template that gets sent with the order, you would choose the email template in the Email Notification dropdown. The option Allow Blank Address allows the order status to be set to this, even if the address is blank in the order. The Quote Status option sets this status to be used in quotes, and not orders. 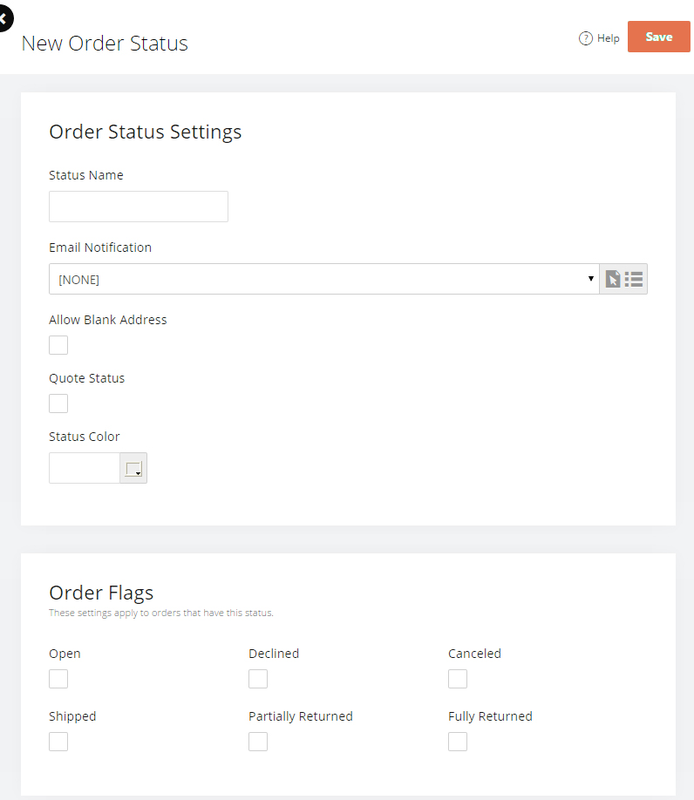 The Status Color option just sets the background for the status when looking at it in your list of orders. And now come the Order Flags section. These seem more complicated then what it actually is. These are basically flags on the order, marking them with the associated flag. So if you enable the Shipped - order flag, putting an order into this status will mark it as shipped. Same goes for the other Order Status Flags. Easy enough right? Now go out there and make some customized order statuses!